Listen to the radio show on The Ranch 107.1FM or 97.9FM in The Bitterroot Valley. How about a live stream feed at www.107theranch.com. The WineGuyMike™ Radio Show© with Scott and Paula on The Ranch airs weekly on Wednesday mornings at 8:20AM MDT. Each week we will be giving away gift certificates from our sponsors. 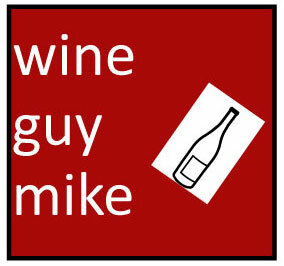 If your question is selected as WineGuyMike’s™ topic of discussion you will win one of the $20.00 gift certificates. Good luck and send your questions to WineGuyMike™ on his Facebook fan page. Mickey asks; recently when I’m in a restaurant I’ve noticed that good wines by the glass are somewhat expensive. I would like to consider buying a bottle of wine but usually cannot finish the entire bottle, can I take the bottle home with me? What a great question and of course I didn’t know the answer. I have friends that work in the restaurant business so I reached out to them for the real answer and here is what I came up with. This answer is predicated on our Montana State and local rules/ regulations in Missoula. These rules and regulations can vary from state to state and potentially city to city depending on where you live in the country. In Missoula an establishment’s license to sell wine may or may not allow for off premise sales. This would determine whether or not you may take home your half finished bottle of wine. The only way you would know this as a customer is to ask before you purchase your bottle of wine if you know you may not finish the bottle during your dinner. Don’t be afraid to ask, it is much better to know right up front so you and the establishment are both in compliance. Aimee Ryan asks; I like to drink dry, or crisp wines but I never seem to like aperitif or dessert wines. Can you recommend how I might approach these types of wines? WineGuyMike™ sure can Aimee but let’s take a moment to generally understand these wines. Late Harvest or Noble Rot wine is made from moldy grapes, a fungus named Botrytis cinerea. This fungus dehydrates the water from the grape and imparts nuances of Honey, and Apricot once the wines are made. A sweet or dessert wine that I recommend is one that I just had at an Adelsheim Vineyard tasting with Sales Manager Bill Blanchard. This is a beautiful example of a very sophisticated dessert wine that is perfectly balanced with sugar and acidity. • Dessert wines from red-skinned grapes – especially Pinot noir – are relatively rare in the world. We produced our first Deglacé, almost as an experiment, in 2001. Initially, the wine was created for use at the end of winery dinners. • Neither of the two ways in which dessert wines are traditionally produced – using grapes that have been desiccated by Botrytis cinerea (“noble rot”), or pressing after the grapes had frozen on the vine – would work for us. A Pinot noir producer would never want Botrytis in its vineyards (it ruins red wines), and we can’t remember a fall when a freeze came before the rains of winter. • Our Deglacé dessert wine has a soft pink color produced from contact with the Pinot noir skins. The residual sugars are on the low end as compared to traditional ice wines, resulting in a consistently balanced wine. • The 2008 growing season began slowly with a cooler than normal spring for the months of March and April. Buds began to open around April 26th, giving the growing season a bit of a delayed start. • Temperatures picked up considerably in May and the vines accelerated shoot growth, but bloom was still slightly later than normal. • The favorable conditions surrounding bloom near the end of June continued well into August. Veraison became apparent in mid-August, followed by gorgeous ripening conditions in September. • Hand-picking occurred on October 1 and 15, allowing the fruit to fully ripen and bask in what could be called a textbook Indian summer for Oregon. • We used post-harvest freezing of grapes (57%) and juice (43%) to create this unusual sweet dessert wine. • After the grapes were picked, over half were quickly trucked to a cold-storage facility and frozen. During a two-week period in early February, they were brought back to the winery in small batches and allowed to partially thaw so they could be pressed. The pressed grapes averaged 40º Brix. • The juice component was obtained from a saignée process (bleeding off a portion of red wine after only a short period of contact with the grape skins). The saignée juice was frozen in tank to remove water and concentrate the sugars, flavors and other components that remain, bringing the Brix to 35º. • Yeast that would allow an especially cold fermentation (which retains the maximum possible fruit esters) was added to the juice to start the six-week fermentation. • When the wine was bottled on April 17, 2009, it carried a residual sugar level of 20%. • Most of the grapes for this wine were grown at our Ribbon Springs Vineyard (Ribbon Ridge AVA), where we chose several blocks that have given us in past vintages the intense strawberry flavors important for this wine. 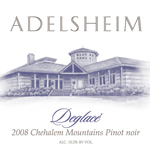 Small amounts of fruit from Lia and Ellis Vineyard (Chehalem Mountains AVA) also contributed to the wine. • These blocks were picked on October 8, 12 and 13, averaging 24° Brix. I have put together a list of Classic and Major red and white grape varietals to share with you so that you have something to compare when you decide to make a wine purchase. I’m going to start with the red wines. Red wines are rich, robust, and flavorful. Tannin is foremost in creating flavor in red wines. Stems, skins, and seeds is what tannin comes from. The wine color comes from the grape skins. According to medical research drinking two four ounce glasses of red wine a day may reduce coronary disease by as much as 50 percent. Cabernet Sauvignon – This varietal is a big, powerful red wine that is full in body, rich, and very flavorful. Cabernet sauvignon is a wine that imparts flavors of fruits, berries, currants, and plums. This wine may also exhibit slight spicy nuances. Merlot is the wine type or varietal that is great to drink with or without food. It tends to be soft, smooth, and very fruit forward. Winemakers the world over are creating rich style merlots that are wines full of cherry and oak flavors. This is a medium bodied wine. Syrah/Shiraz is a big powerful full bodied wine, also known as Shiraz in Australia. Supple, smooth, rich with well mannered mellow tannins describes the syrah wines. Flavor wise a Syrah can be slightly spicy, fruity like black cherries, or some may have a deep nutty flavoring. Long thought of as only blending grape for cabernets or Rhone, France Chateauneuf-du-Pape, the Syrah is creating a reputation of its own as a varietal. Those were the Classic Red Grape varietals we have just learned about and now we are going to learn about the Major Red Grape varietals. Cabernet Franc is spicier than its cousin Cabernet Sauvignon Cabernet Franc has traditionally been used as blending wine. It now is gaining popularity as its own stand alone wine type or varietal. This is a full bodied wine. Grenache the medium bodied grape is famous for use as a blending grape in both France and Spain. Grenache is full bodied with berry flavors. It lends itself well to nice full reds or roses that produce fruity or berry like flavor. Cinsaut is a full bodied grape used predominantly as a blending grape in France, but now being coupled with Pinot Noir and known as a Pinotage. These wines are becoming well known in Africa, Australia, and California. Carignan is one full bodied grape that needs a little help from its friends. Carignan is often blended and softened with Cabernet Sauvignon, Cabernet Franc, Grenache, or a handful of others. In the hands of a skilled winemaker this can be a very nice selection. Barbera grapes like warm weather, they’re grown in Italy most predominantly but California also produces Barbera. This medium bodied wine is very fruit forward, mellow in tannin, and well rounded or soft. Nebbiolo is the grape that is a no nonsense contender from northern Italy. California’s also working with the Nebbiolo grape. Best known for huge, robust, full bodied wines such as the Barbarescos’ and Barolos’. A big wine like this may need a decade to mature properly. These wines tend to be heavy on tannin and high in alcohol content. Aged correctly this wine will be chewy, with hints of berries, herbs, and slightly floral. Sangiovese one word Chianti, probably the most well known of Italian wines(at least that holds true in the United States). This grape is also the major contributor for many other fantastic Italian reds. This spicy medium bodied red also exhibits cherry and raspberry flavors. Tempranillo is the medium bodied jewel of Spain is the major player in a couple of Spains finest wines, Rioja and Ribera del Duero. This grape produces very complex wines hinting of plums, vanilla, cassis, and tobacco. Aleatico an medium bodied Italian red variety that can produce sweet red wines, that are very aromatic wines reminiscent of Muscat and is thought by some to be a red relation of Muscat Blanc à Petits Grains. Red Zinfandel is a full bodied, fruit forward, and spicy wine is one of Californias favorites, and most plentiful. Berries, cherries, tobacco, oak, and vanilla this wine seems to have it all. This grape is diverse it is used to produce White Zinfandel and is blended with many other wines. Malbec one of Argentina’s finest! A medium bodied fruit forward, flamboyant red wine. Spicy, tannic at its best this wine can be outstanding. Mourvedre is Spanish wine’s popularity is on the increase. Fruity, berry flavor, tannins are strong, try this full bodied wine for a little variety. White wines can be very dry to sweet. The varietals in the very dry wine section have a higher acid content, this is what gives these wines a very crisp, very dry taste and feel. The varietals in the dry white wine section have a high acid content; this is what gives these wines a medium crisp, dry taste and feel. Varietals that are medium dry white wine have a medium acid content; this is what gives these wines a medium crisp, slightly dry, but softer taste and feel. The Sweet or Dessert wine section is a compilation of rich, sweet wines. You will find that these wines are also referred to as “Late Harvest”. These wines are left on the vine longer to enhance sugar levels in the grapes, thus increasing the alcohol content of the individual wines. The Sweet or Dessert wines are rich, sweet wines. You will find that these wines are also referred to as “Late Harvest”. These wines are left on the vine longer to enhance sugar levels in the grapes, thus increasing the alcohol content of the individual wines. Let’s take a look at the Classic and Major varietals of white wine; very dry and dry wines have a higher acid content, this is what gives these wines a very crisp, very dry taste and feel. Medium dry white wines have a medium acid content, therefore this is what gives these wines a medium crisp, slightly dry, but yet a softer taste and feel. At its best Sauvignon Blanc is a very crisp, light bodied, and very dry. They are also known as Fume´Blancs, and are well balanced with citrus and grassy overtones. Most of these wines are not fermented in oak, the high levels of acid balance well with the fruity characteristics of the wine. The Semillon wines are typically blended with a Sauvignon Blanc. This is a dry yet complex wine with flavor from both pears and figs, also features overtones of honey. Well made this wine is very interesting. Riesling is one of the prominent white wine grapes, a pure riesling is complex yet delicate. Some Rieslings are just pretenders made from inferior grapes, the Grey Rieslings, and Sylvaner Rieslings. A Riesling will be light, medium dry, fruity, a mild citrus flavor, with a mellow floral aroma. Now we will take a look at the Major White Grape varietals. Pinot Grigio or Pinot Gris as it is commonly referred to is a very dry wine. Some characteristics of this wine are a slightly fruity, and mild spiciness. Pinot Blanc at its best this wine can make a strong statement, it can be complex and spicy with fruit and citrus flavors. This is a dry wine. Not a wine to age, drink now and enjoy this bright fruity wine. The Gewurztraminer wine is spicy, fruity, floral, and herbal. This is a dry, earthy, aromatic wine that is genuinely refreshing. Muscat wines have a musky, grapey flavor that is simplistic and enjoyable. It is a very versatile grape that produces delicate dry wines, rich sweet wines and fortified wines. Try one of these for your enjoyment! Muller-Thurgau variety produces good dry wines with round, floral characteristics. Muscadet the white Melon grape produces dry wines from the Muscadet region of the Loire. Although the wines are somewhat neutral in flavour, they are well balanced. Leaving the wine on the yeast cells after fermentation, sur lie, provides extra body and character. Trebianno is a grape that is best known as the blending grape for Chianti. It is a dry wine that is light in body, low in sugar and alcohol. This grape produces a rather neutral wine that pairs well with a wide variety of foods. Malvasia is an important white grape variety in Central Italy where it is a minor contributor of Chianti. It produces dry, sweet, Spumante wines. Palomino is the white grape variety that is neutral in flavor, low acidity and high yield are well suited to the process used in making sherry. Sylvaner has a distinct dry, earthy, flinty style wine. Used almost exclusively as a blending type wine. Aligote is a dry white Burgundian grape grown in the Cote d’Or region on less than favorable sites and consequently can produce rather thin, acidic wine. Blush and Rose wines are produced by leaving the red grape skins in contact with the juice or by combining the red and white wines during various stages of the wine making process. This wine is light bodied and slightly sweet. Blanc de Blancs this true French Champagne is produced entirely from the Chardonnay grape. Also fermented using the M´ethode Champenoise process, producing a white Champagne. 81-86 are very good to above average wines. 87-100 are great to outstanding wines. Rose′ ­- “pinkish”(French). Depending on the grapes and winemakers style the wines can be colored from vivid orange to nearly a purple hue. Fall is coming to an end and winter is near. The days are getting shorter and the nights are getting longer. Change is in the air, our daily habits are changing and so it goes for the way we eat and what we want to drink. In the summer we are on the go from morning to night and the days are warm and our eating habits are dictated by the heat and our activity level. We are so busy we tend to eat much lighter food in the summertime. Fall arrives and our bodies are slowing down and the next thing we know it is wintertime and we become much more sluggish do to short days and much less sunshine. The foods we crave to eat are heavier and comforting, hence the name “comfort foods”. I believe our palettes desires change seasonally as well. Have you noticed in the summer when it’s hot you might prefer a nice crisp white wine to relax with even though your preference may be a full bodied red wine. Now fall is turning to winter and you’re starting to drink the red wines that you love again. Just as our eating habits turn from light summer fare to winter comfort foods so do our palettes. If we are white wine drinkers you my desire a heavier white blend or a varietal like Chardonnay instead of the light, crisp Sauvignon Blanc you turned to during the dog days of summer. Likewise if you are a wine drinker like me I turned to white wines this summer or I may have had a nice Rose. Now that the cold weather is arriving I’m back enjoying the luscious full bodied red wines that I love again. This week I will be discussing wine types or grape varietals. I think this is important because we tend to get stuck drinking 1 or 2 wines rather than being adventurous and trying other wines. I refer to this as “Single Label Syndrome”. Having knowledge is power and that’s why I want to share this grape varietal information with you. You may have a strong sense of what it is that you like characteristically in a wine or you might be a new wine drinker and trying to find your way with wine but you are still searching for your personal approach to wine, and remember there are no rules on the WineGuyMike Show, it’s all about what you love. Step away from the barrel! This Chardonnay was fermented in 100% stainless steel and has not seen any oak, nor does it want to. This is crisp, concentrated Chardonnay with all its natural acid. Naked exhibits apple, white peach, and pear, finishing long with hints of citrus and mineral. Eat oysters and drink “Naked” often!! Ochoa Tempranillo is very elegant, beautifully delineated red wine with a dark ruby-purple color, sweet, blackberry and cherry fruit; medium body, some spice with a subtle background. It is a medium-bodied, fleshy, well-structured wine that should drink well for 3 to 4 years. Rose ­- “pinkish”(French). Depending on the grapes and winemakers style the wines can be colored from vivid orange to nearly a purple hue. This week’s winners are; Ken Munson and Daniel Gallacher, thanks for your great questions to WineGuyMike™. This week WineGuyMike is going to be talking about no rules wine, terrior, and a follow up on 11th annual Table Talk Event Benefit for The St. Patrick House in Missoula, MT. Okay on to our Fans fantastic questions this week; Ken asks I have never been a person to drink alcohol until my wife started getting into your program. We have now shared a few bottles of wine together and I find myself liking a sweet wine, probably pretty typical. The one I have really enjoyed is Huck with huckleberry flavoring by Huck Wines of Walla Walla, WA. Can you recommend another kind of wine that is sweet that we may enjoy? I am your typical Montana boy who loves steak.. so anything that goes well with steak would be wonderful too! Fruit wines have traditionally been popular with home winemakers and in areas with cool northern climates. Most fruits and berries have the potential to produce wine. Grapes are one of the few foods that produce a natural balance of sugar, acid, tannin, and nutritive salts that promote proper fermentation. With that in mind Fruit based wines are enriched in the wine making process. Fermentable sugars are too low to produced wines with a correct alcohol level and rely on a supplementation process called chaptalization. This enrichment process of adding sugar to unfermented grape must to increase the alcohol level after fermentation is a technique that is named for its developer, the French chemist Jean-Antoine-Claude Chaptal. This does not make the wine sweeter but aides the yeast to further ferment and raise alcohol levels to result in a proper finished wine. Fruit wines with high acid levels may have sucrose added to help balance those levels. Fruit wines do not improve with age and should be consumed within a year of bottling. Now Ken for your recommendations that are all available from WineGuyMike sponsor Grizzly Liquor; Ken I want to also preface these recommendations of wines by pointing out the one rule we have on The WineGuyMike Show, there are no rules. What’s my point you might ask, if you like a good dessert wine with your steak by all means enjoy it. I mean really as a kid growing up didn’t you really want to have dessert before your dinner, well Ken here is your chance and WineGuyMike says go for it. Salute to you Ken. Cherry Blossom $19.50 – A sweet blend of cherry, pear, and zinfandel makes a lighter, juicier alternative to port. Versatile and complex, Cherry Blossom pairs with a wide array of foods from lamb and couscous to cheese, nuts, and chocolate—always good by the fire. Flathead Lake Winery is a small, family-owned, craft winery that specializes in small-batch wines made from Montana fruit. They make wine from fruit that was either grown in Montana or picked wild in Montana. Flathead Lake Winery was the 6th winery licensed in Montana and began operations in 2003. At Flathead Lake Winery they hand make, hand fill, hand cork, and hand label each and every bottle. 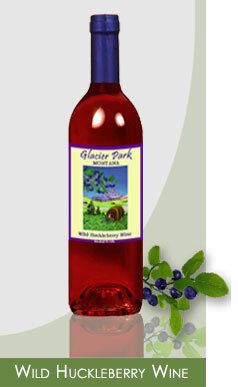 This is the only winery to use 100% Montana grown fruit. This is the original huckleberry wine and the only wine made of 100% wild huckleberries. There are those out there who try to flavor their grape wine with huckleberries. Don’t be fooled. Get the real thing. While using 100% wild huckleberries is much more costly, they believe it is worth it and believe you will agree. They know you will be able to taste the difference. They use approximately 2 lbs ($12) of huckleberries in each bottle. Nestled into the Northern foothills of the Victorian Alps, the Alpine Valleys harbor a handful of dogged grape growers whose ancestors arrived in the 1850s after a less-than-comfortable boat trip from Italy. With lofty slopes climbing to 2000 feet, vineyards are snow clad in winter and punch through clouds to nab a slice of sunshine during summer. 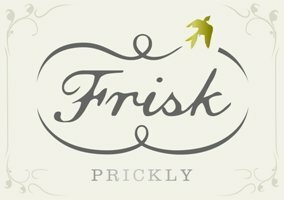 Made by a team of maverick winemakers, Frisk is crafted by seasoned hands. Harvested in the chilly eve and delivered to the winery in pristine condition, prized free-run Riesling juice is fermented with canny yeasts that ensure the wine is sporting plenty of aromatic verve along with a low 8% alcohol. And the prickle? A gentle spritz produced by those clever yeasts, captured to deliver a tickle that will rouse your palate. It’s downright Frisky. It’s a mouth-revving Riesling with a bite that sings with mountain-stream purity. Its flavors dart all over, quartz-like acidity coming right at you, bold and unapologetic. You may see notes of lemon sorbet, bath salts and white lilies layered with spices from your favorite childhood pie shop…guess that depends on your childhood. 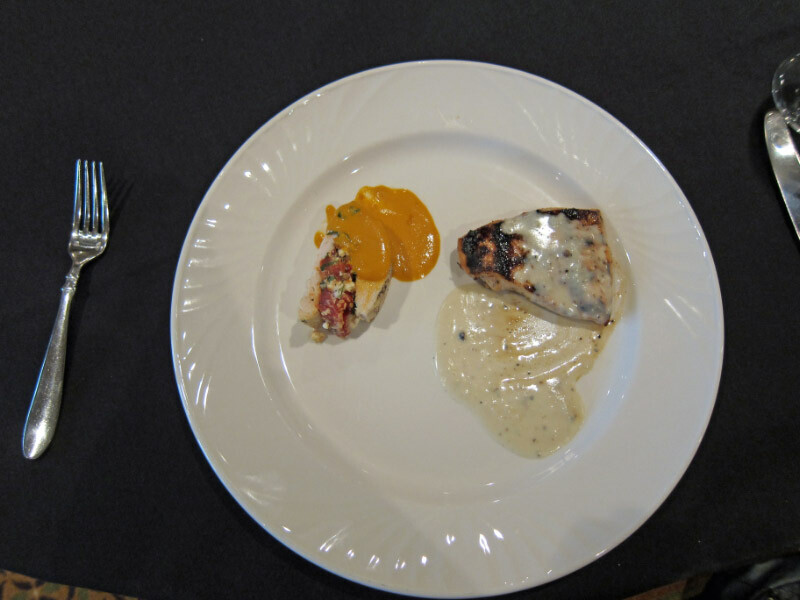 But you can’t deny its raciness and versatility, sidling up suggestively to food that’s both sweet and spicy. Its intensity will slap you in the face. Perfume of fresh peach, pear and aromatic white flowers. A gentle sparkle brightens the fruit and a tingle of sweetness hints of candied fruits. Saracco has perfected the balance of acid and residual sugar to make an incredibly light and floral sparkling wine keeps the natural effervescence in the wine. The Saracco Moscato d’Asti wine is made by fermenting the juice in sealed, pressurized and temperature controlled stainless steel tanks. This method of fermentation pressurized tanks for 60 days, then filtered repeatedly to stop fermentation. The tank method allows the naturally sparkling wine to be kept fresh until it is ordered, only then is it bottled to ensure the best possible wine in the glass. Moscato d’ Asti is highly aromatic with notes of fruit and white flowers, Paolo Saracco keeps tight control of the harvest to ensure a perfect acid balance to the natural sweetness of this grape. A slight sparkle is traditional for Moscato d’Asti, it lifts the fruit and guarantees a wine that is light and refreshing. Question #2 from Daniel Gallacher, Daniel asks what are your thoughts on the Missoula valley as a wine producing area? In Missoula’s rich agricultural past The Garden City grew and provided fruit and vegetables for many neighboring cities. During the Ice Age glaciers formed in our mountains, creating peaks and valleys from the Precambrian quartzites and argillites. Geologists believe the reformation of Lake Missoula reoccurred 41 times each time leaving behind a deep layer of argillite. The geologic past of The Missoula Valley left behind very good soil conditions for grape growing. With regard to our various zonal growing areas in the greater Missoula Valley grape growers are limited to certain grape varietals that will resist sometimes harsh growing conditions over time. Here are a few examples of varietals grown here and are tough enough to withstand our sometimes severe weather conditions; Maréchal Foch, Frontenac, Leon Millot, Swenson Red and St. Croix (reds), and St. Pepin, a white grape. In the North we have an advantage of long days in spite of a shorter growing season. Grapes require enough growing days with an ambient temperature over 50 degrees Farenheit, we do meet that grape growing requirement in The Missoula Valley. Overall Daniel for my money it is a tough go but I’m glad we have winery owners who have the skill and tenacity to make it happen here. We quite literally enjoy the fruits of their labor. I recommend everyone visit our own Ten Spoon Vineyard and Winery, it is a beautiful property. Table Talk is an annual event that is one of five major fund raising events hosted by St. Patrick Hospital and Health Foundation. The Table Talk Event is an evening of great conversation, dining, learning, and sharing by a group of 250 people who will come together to benefit The St. Patrick House. This event takes place at The Double Tree Hotel on Saturday October 16th in Missoula, MT at 5:30 PM. There are 25 tables and each table is hosted by a celebrity or a significant person of interest. All the proceeds of this event directly benefit The St. Patrick House located one block away from St. Patrick Hospital. Tickets for The Table Talk Event Benefit are available through the St. Patrick Hospital and Health Foundation offices for $75.00 per ticket. You may call 406-327-3052 to purchase your tickets for this event, remember tickets go fast and if you want to select your particular table of interest call to get your ticket today. The picturesque town of Olite was historically significant during the Roman Empire and was the capital of the Kingdom of Navarra during the Middle Ages. Bodegas Ochoa has documents dated 1370 A.D. confirming that the bodega was the personal winemakers for the king of Navarra and his royal court, which continued for about another 400 years. The bodega was located within the walled portion of the city, but its growth during the past century caused the bodega to be relocated outside the walls. Bodegas Ochoa is still family owned and operated with Javier Ochoa at the helm for the past 35 years. Adriana, Javier?s daughter, was trained in Bordeaux and continued her wine education in Australia is following Javier?s footsteps. Adriana is assuming more of the winemaking responsibilities of the bodega under her father’s guidance. All of the grapes used to make Ochoa?s wines are estate grown in their 143 hectares of vineyards. The vineyards are located in the higher elevations of Navarra, which lend additional structure and character to the grapes. Bigi was founded by Luigi Bigi in 1880. Today it is the leading winery in Orvieto. Located just beneath the lofty walls of ancient Orvieto, Bigi is one of Italy’s busiest cellars. The winery and cellars, redesigned and modernized by renowned oenologist Giacomo Tachis, draw thousands of visitors each year. Bigi is the leading brand of Orvieto with a thirty percent share of the total output of the zone. Equally important is the outstanding vineyard work done by Bigi. They own or manage almost 200 hectares (nearly 500 acres), notably Torricella, Orzalume, Viavalle and Il Poggio. Bigi thus controls the quality of its wines from vine to bottle under the direction of dynamic enologist Francesco Bardi, who is considered one of Umbria’s most innovative winemakers. The name Vipra — local dialect for “viper” — was inspired by one of the most powerful noble families of the Middle Ages: Monaldeschi della Vipera. Scattered throughout the town of Orvieto and its neighboring communities, the vineyards were planted in the late 1990s. Using the spurred cordon and guyot training methods at a density of 3500-4000 vines/hectare, both indigenous and international varieties of grapes thrive in this poor, pebbly soil. Altitudes average 300 meters above sea level and all vineyards have southwestern exposures. Harvest took place in early October. Prior to fermentation, the grapes underwent a criomaceration for 8-9 hours, followed by static decanting of the musts for 24 hours in stainless steel tanks at 12-18°C. Fermentation occurred in stainless steel tanks as well, at temperatures of 14-16°C over 20 days. The wine was aged for 2 months before being filtered, fined, refrigerated, and bottled. On the nose, this wine expresses hints of fresh almonds, acacia, and citrus. It is rich, yet fresh with a savory, elegant flavor. Best when drunk young. Mas Que Vinos is the brainchild of a group of friends, Margarita Madrigal, Gonzalo Rodriguez, and Alexandra Schmedes. Having renovated an old family winery which dates to 1851, the three sought to preserve as much as they could from the original property, including the old tinajas (clay amphors) which are still used today for the malolactic fermentation. La Mancha is one of the few areas of Spain that benefits from one single climate instead of two or three such as Rioja and Ribera del Duero. This Continental climate favors the extremes, with very cold winters and very hot summers. In the summer, and because of the altitude (often over 700 meters), the nights are quite cool which is perfect for an grape maturation. Soils in the zone are usually clay and limestone, with small patches of granite. Mas Que Vinos works with two varietals with which many American buyers may not be familiar. Cencibel, a red varietal, is simply another name for Tempranillo when grown in certain areas of Central and Southern Spain. Arien, equally as unknown, is Spain’s most widely planted white varietal. Bunches are large and very tightly packed and alcohol levels tend to be between 13% and 14%. Often it is added to a blend for texture, but as it tends to be lower in alcohol in the area near Mas Que Vinos and the aromatics quite interesting, the property has decided to make it the centerpiece of their white wine. Primarily made from the white varietal Airen and a small percentage of Sauvignon Blanc. Ercavio Blanco is young, fresh and fruity–and ideal aperitif or accompaniment to seafood and lighter fare. Domaine Sainte Eugénie is positioned within the district of Fontfroide, the sweet spot of Corbières, with an 800 year history of viticulture. The estate is located within the foothills of the Pyrénées along the Mediterranean coast. Clay and chalk soils dominate here. The dry weather, sunny and warm climate combine to create an optimal growing environment. This new wine, just released, is the latest addition to Domaine Sainte Eugénie. It is unique in that it has a slight, refined oak character, highlighting a sturdy base of red fruit and oriental spices. 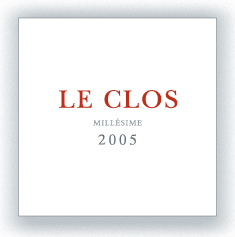 Bringing into play terroir and savoir-faire, tradition and exotic flair, Le Clos seems to be like something out of “The Arabian Nights.” This wine displays an attractive raspberry red color with hints of garnet. Its nose is lively and complex, with notes of red and black fruits. Refined oak fragrance with hints of incense, spices (nutmeg, clove, ginger), anise, autumn woods and tobacco. It is very soft on the palate, with a fresh, tangy acidity. Le Clos shows a wonderful balance. It is well-structured yet elegant, with fine tannins. It will perfectly accompany a duck terrine laced with olives, a roast rack of lamb, barbecued beef or pork chops with fines herbes, as well as pheasant with wild mushrooms or boeuf bourguignon. This 2009 Pinot Noir hails from California and marks my return after 4 years of making French Pinot Noir. The decision to produce a French Pinot Noir was driven by grape quality and grape prices, and the decision to return to California is the same. Four years ago they could buy higher quality grapes at a better price in France; today, the better grapes and prices are in California. They sourced grapes from Paso Robles (Westside with cool ocean temperatures), Monterey and the Russian River Valley. The wine is generous on the palate with nice forward fruit and well-balanced oak — in a word, elegant. Spring — Cool into April. Summer — Moderate then warm in late Summer, large canopies. Fall – Cool in September, wet in October, and dry into November. Harvest started early in with cool temperatures which delayed maturation and allowed for the development of ripe luscious flavors. Berries were smaller than usual and had lower sugar levels, higher acid and lower Ph. Lack of rain in the preceding winter made for lower than average yields due to small berries. A pre-fermentation cold-soak at 50% initiates rich fruit and color extraction; followed by closed stainless steel fermentation, minimizing oxygen exposure and emphasizing fruitiness. 25% of the wine is drawn off to finish fermentation in oak to enrich the mouth-feel and gain greater fruit/oak cohesion. The wine is aged for about another nine months in new, one and two year old French oak barrels with medium-toast. Alcohol: 13.0% — refreshingly balanced in today’s world of high-alcohol wines. This handcrafted Pinot Noir is an elegant composition of sustainably farmed grapes from several of California’s cool, marine influenced micro-climates. Ripe red berry and black cherry fruit balance its delicate spiciness. 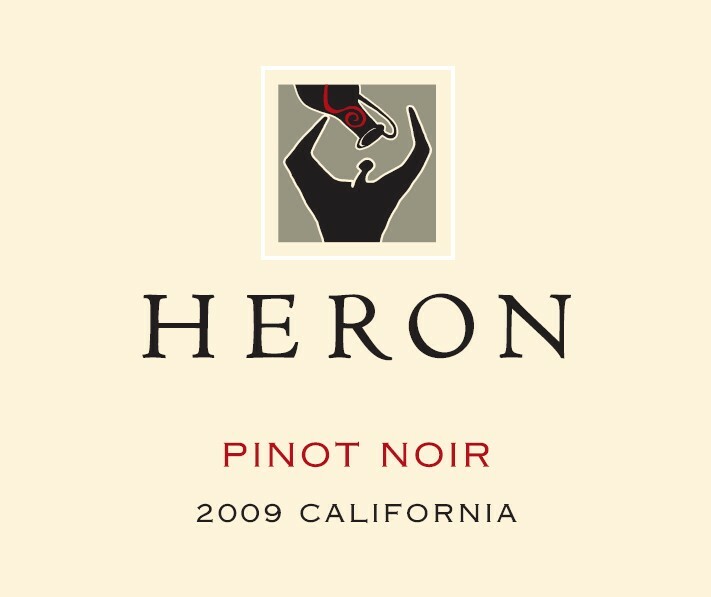 Join Heron in celebrating 15 years of making wines in California, France and Spain! The wine is generous on the palate with nice forward fruit and well-balanced oak — in a word, elegant. This week’s new wine term is; Terroir is a French term for the notion that the complex combination of soil, climate, exposition and local tradition define the style of wine, a taste of the earth. 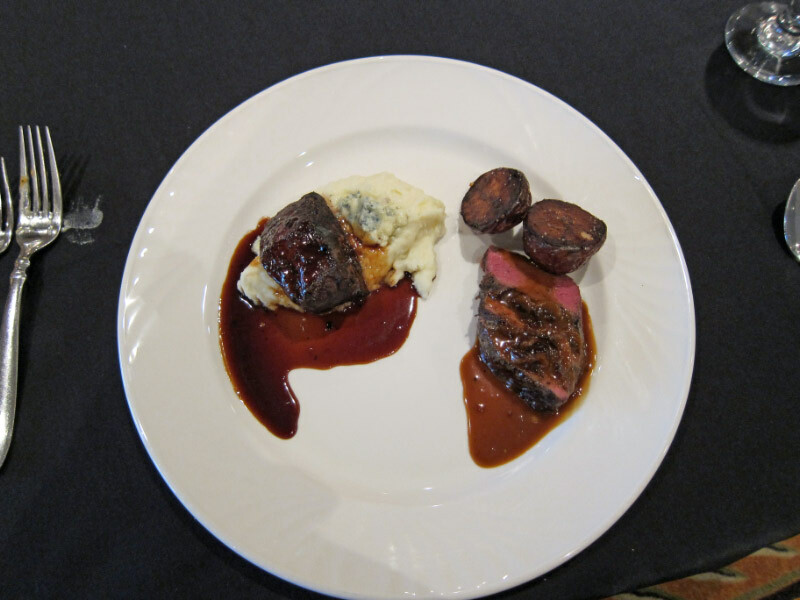 This week WineGuyMike is going to be talking about some very important wine and entree selections. So important that lives depend on it, I’m talking about The St. Patrick’s House and the 11th annual Table Talk Event Benefit. Table Talk is an annual event that is one of five major fund raising events hosted by St. Patrick Hospital and Health Foundation. The Table Talk Event is an evening of great conversation, dining, learning, and sharing by a group of 250 people who have come together to benefit The St. Patrick House. This event takes place at The Double Tree Hotel on Saturday October 16th in Missoula, MT at 5:30 PM. There are 25 tables and each table is hosted by a celebrity or a significant person of interest. All the proceeds of this event directly benefit The St. Patrick House located one block away from St. Patrick Hospital. WineGuyMike is a member of The Table Talk Committee; this event is a personal passion for me. The St. Patrick House is a blessing within our community and to those who utilize this home. I have personal friends or family members of friends who have had to use St. Patrick House. Lives are forever changed and touched by this house and the staff does an amazing job of running this home supported by a group of wonderful volunteers. The annual budget for operations is $200,000.00 which I personally cannot comprehend how they accomplish what they do and provide the services they are able to for that small of a budget. The fact of the matter is that they barely survive on that budget and that is exactly why this Table Talk Event is being held. Table Talk Event hosts are the highlight of the evening along with great wine and food. This year we have an incredible lineup of guest hosts that are as diverse as Montana State Attorney General Steve Bullock to top 100 swimmer of the century and Olympic gold medal winner David Berkoff. The mission of St. Patrick House is to provide compassionate shelter to patients and their families during their time of need. Last year St. Patrick House served over 2,000 children, women and men and this year we hope to serve even more! These individuals come from all across Montana seeking medical care, and are often left without a place to lay their head while they are in Missoula. The house that we now know as St. Patrick House was constructed in 1910. For many years it was used as a lodging house for transitional industrial labor workers in the area. In 1948 the house was converted to a convalescent home and used as such for the next 16 years. 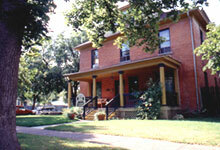 The house was then used as an apartment house offering furnished rooms. From 1983 until 1993, the house was used as a Missoula Youth Home. For the next two years, Women’s Place purchased the building for offices and temporary housing for women in crisis. In 1995, it was known as the Montana Grand Bed and Breakfast and Trappings Interior Design. In 1998 Heidi Dewey, the wife of a Missoula physician, noticed that although Missoula offered exceptional medical treatment for a wide variety of ailments, many low and moderate income medical travelers couldn’t afford shelter and food staples while in town. She spoke with Jean Bowman, then the Executive Director of the St. Patrick Hospital Foundation, and presented her passion to create a hospitality house for those in need. The vision spread quickly as others grasped the obvious need, and the Foundation raised enough money to purchase the building and land to create this “place like home” for those patients and families in need. In September of 1999 the doors of St. Patrick House opened. The original house had 10 bedrooms and could accommodate 20 people a night. 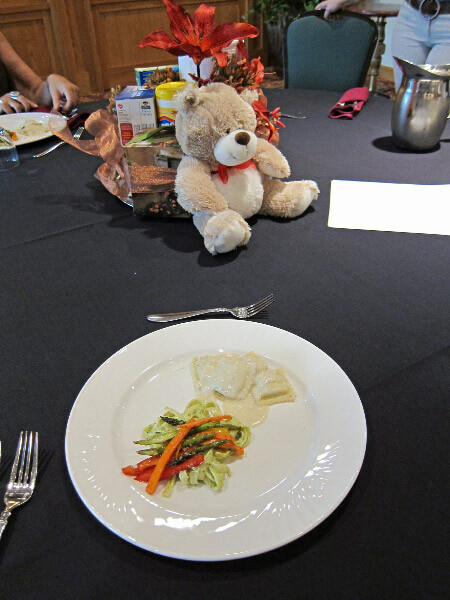 People could cook their own meals and find peace away from the stressful hospital atmosphere. In 2007, the Foundation added five more rooms allowing us to accommodate 30 plus individuals each night. In 2009 alone, 2,173 individuals found a safe refuge under the roof of the St. Patrick House. Since opening in 1999, we have helped over 13,000 men, women and children from nearly every community in Montana, every state in the nation and 14 foreign countries. Fresh Ravioli Pasta stuffed with Portobello Mushrooms and Parmesan Cheese, topped with a White Wine Supreme Sauce and served with a Seasonal Vegetable. Fettuccine Pasta tossed with a creamy pesto sauce and topped with sautéed vegetables. Served with homemade Garlic Bread. Bodegas Ochoa is still family owned and operated with Javier Ochoa at the helm for the past 35 years. Adriana, Javier?s daughter, was trained in Bordeaux and continued her wine education in Australia is following Javier?s footsteps. Adriana is assuming more of the winemaking responsibilities of the bodega under her father?s guidance. 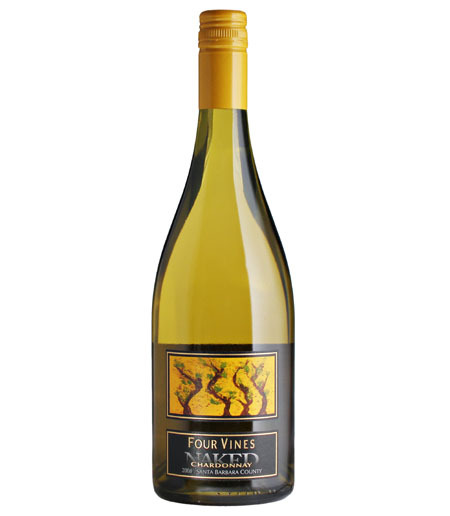 Primarily made from the white varietal Airen and a small percentage of Sauvignon Blanc. Ercavio Blanco is young, fresh and fruity–and ideal aperitif or accompaniment to seafood and lighter fare. This handcrafted Pinot Noir is an elegant composition of sustainably farmed grapes from several of California’s cool, marine influenced micro-climates. Ripe red berry and black cherry fruit balance its delicate spiciness. Join me in celebrating 15 years of making wines in California, France and Spain! The wine is generous on the palate with nice forward fruit and well-balanced oak — in a word, elegant. This week’s new wine term is; Rose ­- “pinkish”(French). Depending on the grapes and winemakers style the wines can be colored from vivid orange to nearly a purple hue.